I think it’s safe to say that ‘wellness’ is having a bit of a moment as far as the internet is concerned. Yoga, meditation, chia seeds – you can log onto Instagram pretty confident that you’re going to see at least one of them on your feed. Don’t get me wrong, I love that the conversation about self-care has opened up so drastically in the past couple of years and it’s great to see people trying to fight against the glorification of being busy. But, as with most ‘trends’, I can’t help but feel that it doesn’t represent much variety. The truth is that “self-care” means something different to everyone. It’s not a term that can only be used in regards to positive affirmations and overpriced green juice. Sometimes it looks more like binging on Netflix and whipping up some gourmet beans on toast. Unfortunately, with all of the Instagramable self-care that is floating around, it’s easy to feel guilty that you’re first instinct after a bad day isn’t to downward dog. With this in mind, today I decided to share with you my very realistic self-care routine, for those days when I finish working and just want to curl up in a ball and get swallowed whole by my duvet. No chia seeds in sight. This isn’t an attempt convince you that you should be doing the same as me, but more of a reminder that self-care as a whole isn’t a carbon copy kinda deal. It’s totally okay if the way that you look after yourself is different from what you see online. This one is a little bit hit or miss. Sometimes cooking makes me feel like Nigella, other times I’m more Gordon Ramsey. But, if the mood strikes, heading into the kitchen, popping on one of my favourite podcasts and cooking up a storm can be one of the most therapeutic things ever. It really gets me into a different headspace and lets me channel my surplus energy in a positive way, through agressively kneading dough or something. Plus, I get tasty food at the end of it, so what’s not to love? If I’m stressed, the last thing I need is to also be cold. Frankly, those are my least two favourite feelings. That means onesies, fluffy socks and blankets galore on bad days. Usually, it also means being in bed as soon as I’m home and not setting a foot down unless I need to pee. If I really want to amp up the snuggliness though, I reach for my beloved YuYu hot water bottle. 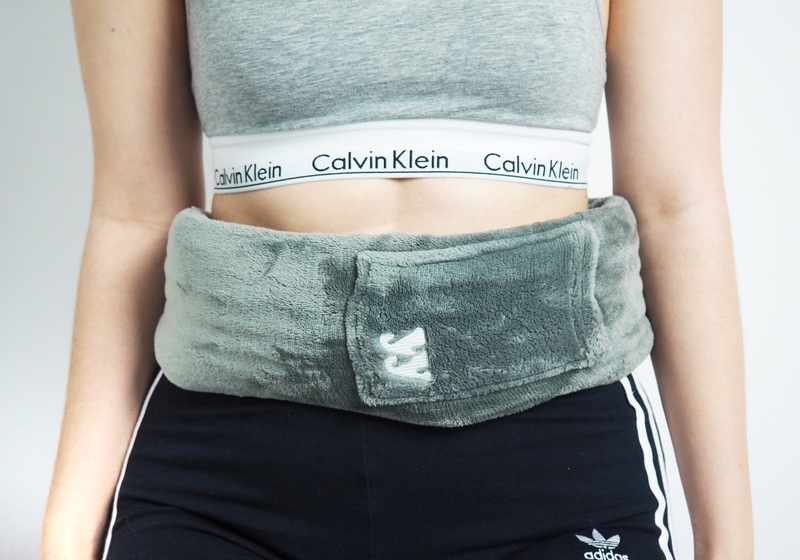 Now, I’ve spoken before about how handy this bad boy is for when you’ve got period cramps, but since then it’s become a huge part of my self-care routine more generally. For those of you that haven’t yet become acquainted, the YuYu is the world’s first long hot water bottle at a whole 81cm. I know, it’s a game changer, right? That means that you can wrap it all the way around yourself and fasten it on, creating what is essentially a hug without anybody actually trying to talk to you! Plus, if you do need to leave your duvet cave for some reason, you can keep it strapped on and it will stay toasty for up to 8 hours. I got mine Yin grey fleece, so it’s essentially a teddy bear, but they also offer a luxurious cashmere range if you want to really treat yourself. 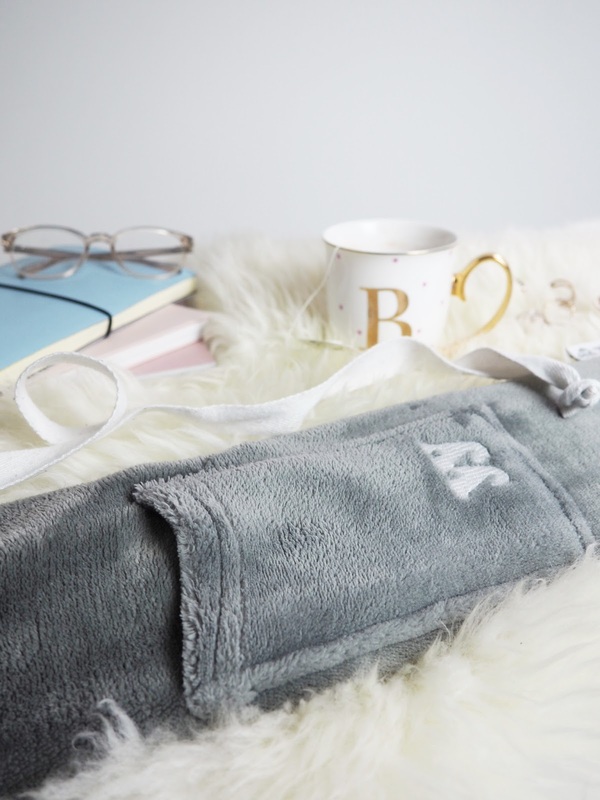 The best part is that the YuYu only uses the same amount of water as your generic hot water bottle, meaning that you only need to fill up the kettle once and there will still be enough left over for tea! Talking of tea, if I’m having a bad day then you can pretty much guarantee I’ll have a cup in my hand from the moment I wake up to the moment I go to sleep. But, importantly, I’m sure to avoid caffeine when I’m not feeling myself, since I find that it can make me feel even more anxious. I usually substitute my English breakfast tea for something like a liquorice and peppermint brew. Add a couple of ginger nut biscuits on the side and I can already feel my mood improving ten fold. I have a complicated relationship with social media. Whilst I love it most of the time and it is a big part of my career, I can also find it massively overwhelming. I sometimes feel like I’ve got thousands of people just shouting their opinions in my face and it can fog my on judgement on matters. So, if I already feel slightly crappy, I need to avoid Twitter like the plague. As tempting as it is to mindlessly scroll, I try to distract myself with other activities like reading, filling in my bullet journal or watching How I Met your Mother on Netflix. That way, I can actually turn my brain off at the end of the day and get the good night’s sleep that I know I need so desperately. I am not a queen at yoga and, honestly, I have no idea how some of these women on Instagram can contort themselves into pretzels, but I do find it to be soothing. I particularly love using youtube videos like those made by Adriene that mean 1. I don’t have to leave my bedroom and 2. I can do the whole practice in my spaghetti stained secondary school hoodie without societal judgement. If I’m in a bad mood then I really don’t want to be doing anything too energic, so I tend to go for practices that have been specially created for if you’re feeling anxious or for before bed. Next Post No seriously, register to vote. This was such a lovely read. Self-care for me often means laying in bed, staring into space and doing absolutely nothing – not exactly Instagram goals. It's nice to see that others are the same. Also, how amazing is the YuYu water bottle!? I definitely need one in my life. Great post as always.